The Comedy of Errors explores the essential human longing for what makes us whole. We examine the need to find our other half, and in so doing, find ourselves. And …..oh yes…… it’s a COMEDY! The set up is simple: Two sets of twins separated early in life end up in the same town and hilarity ensues. Based on the classic works of Plautus, Comedy of Errors is a true farce. Shakespeare knows you already know the story: so we can have loads of fun in the execution! Sprinkle in some mysticism and the characters may think they’re going truly mad! Now imagine this escapade set against the boozy jazzy backdrop of the 1920s Gatsby era and let the revelry begin. Madness Mayhem and Merriment! 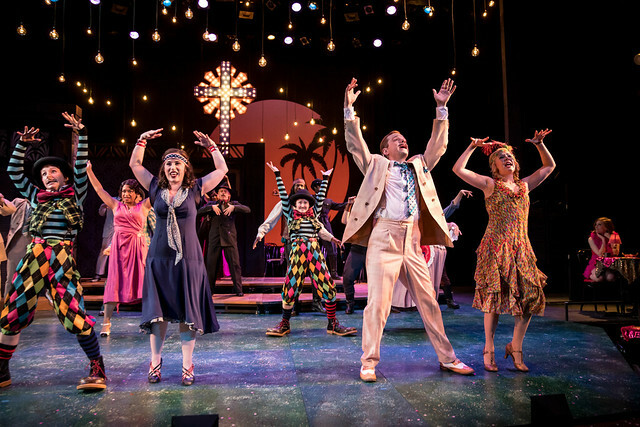 Comedy of Errors is a zany romp full of mistaken identity and silly shenanigans, and hopefully it all turns out alright in the end; but oh!, what a joyful journey it is getting there.